Organ Registration: How to Build Organo Pleno? Many organ pieces require using the so-called Organo Pleno registration. Such compositions could be large Baroque free works, including preludes and fugues, fantasias, toccatas, and even passacaglias and ciacconas. In this article, I will teach you how to build Organo Pleno registration on your organ. First of all, let me explain what Organo Pleno registration means. This term simply means - the Full Organ. However, it should not be confused with the term Tutti. In the broadest sense, Organo Pleno means full principal chorus. This means that you can take principals of various pitch levels (8', 4', 2', 2 2/3', mixtures etc.) and use them all together to create a festive and joyful sound. 1. Use 8' principal as a foundation of your registration in pieces which have fast running and complicated polyphonic texture. In such cases it is best if you avoid 16' in the manuals for more clarity. 2. Use 16' in your registration when you want a majestic sound and more gravity. Always listen to how your piece sounds out in the room and decide if the playing is clear enough. 3. Use 16' in the manuals when your mixture is low. In other words, if the mixture on the main manual is based on the 4' or even 5 1/3', it is best if you add 16' in your manual registration. 4. 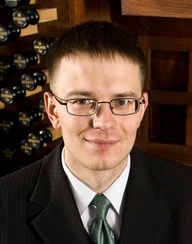 Add 8' and/or 4' flutes when the principal scaling is very narrow or when mixtures are extremely high-pitched, for example on Neobaroque organs. This trick will give some softness and vocal quality to the sound. 5. You can have a 16' reed stop, such as Posaune in the pedals along with the principal chorus. This reed blends well with the principals. By the way, in performing Bach's music, if you want to have 8' Trompete, I recommend 16' Posaune as well. In other words, 16' reed comes before 8' reed in such case. 6. When you play the North German Baroque music, such as pieces by Buxtehude, Bruhns, Scheidemann, Tunder, and others, it is best to avoid doubling stops at the same pitch level. For example, if you use 8' principal, don't use 8' flute together with it. This rule is valid equally well for manuals and for pedals. 7. In the music of Central Germany, such as music by Bach, it is OK to double stops at the same pitch level as long as it does not affect the clarity of the polyphonic texture. 8. A dark quality trompet works well in this registration, or a gentle one but the brighter French style generally doesn't work well for this registration (HT to Gene Bedient). Use these tips when performing pieces which require Organo Pleno registration. If you register such compositions effectively, they will have much more positive impact on your listeners and you will be showing the best qualities of your organ.